*2019 IS OUR 16th ANNIVERSARY RUNNING CASA DOS TORRES*. Details of the Spring and Autumn Breaks 2019, Spanish Gran Prix Formula 1 and the Girona Flower Festival are now available in “News”. Prices for all of the 2019 season are displayed under “Tariff”. See “News” for package details. Casa Dos Torres offers luxury bed and breakfast holiday accommodation in Calella de Palafrugell, Costa Brava, Spain. 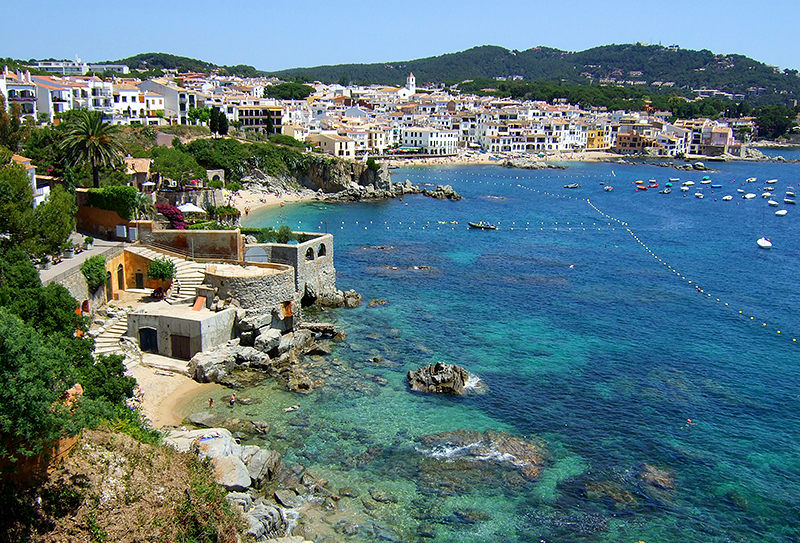 Calella de Palafrugell is a picturesque fishing village on the Costa Brava in Spain and is only 45 minutes away from Girona airport and 1.5 hours from Barcelona airport. We are open all year and offer everything from a single bed and breakfast to families or groups of up to 16 people. We aim to provide so much more than the average bed and breakfast holiday accommodation. A warm welcome awaits you at our beautifully furnished and stylish villa. We want you to feel at home and to enjoy all of our facilities. For full details of accommodation and facilities visit our accommodation page. 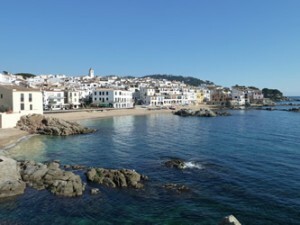 If you want to get out and about, Calella de Palafrugell offers many local attractions. Choose from walking, golf, fishing, cycling, sailing to name only a few. If things get really tough you can always just sit on the beach or come back to CDT for a G&T! There are some excellent restaurants nearby a number of which are Michelin Star. Bear in mind that these particular restaurants are popular and a reservation would need to be made well in advance.